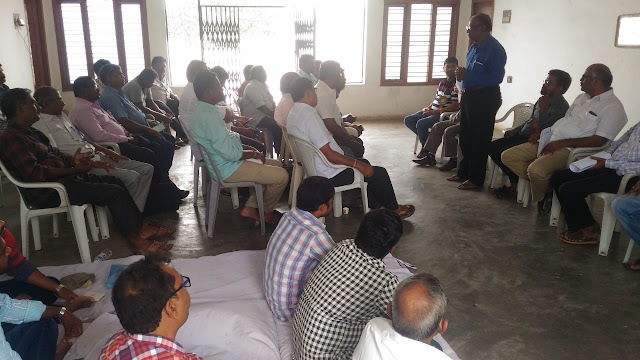 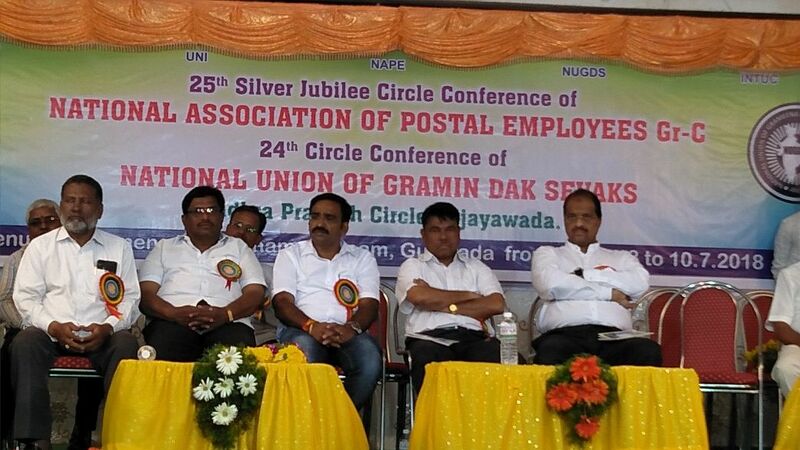 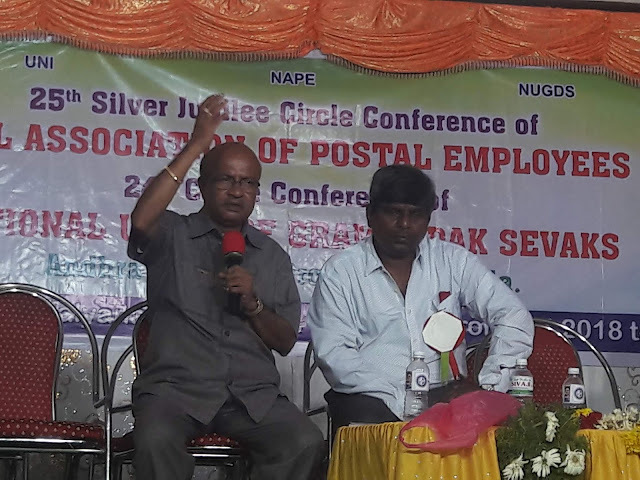 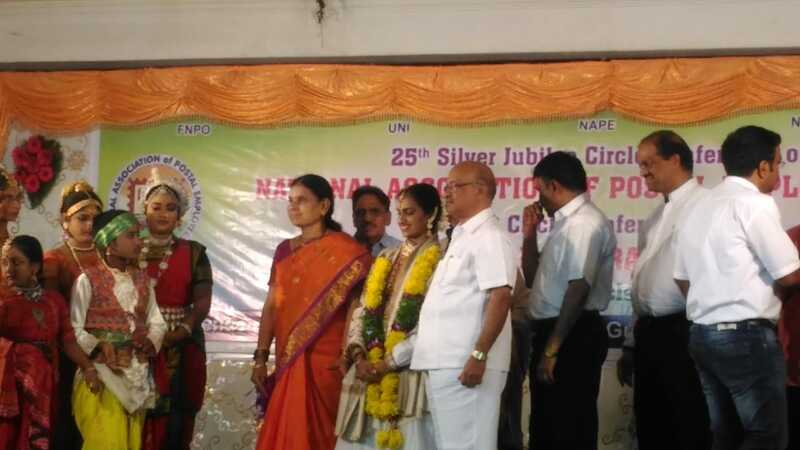 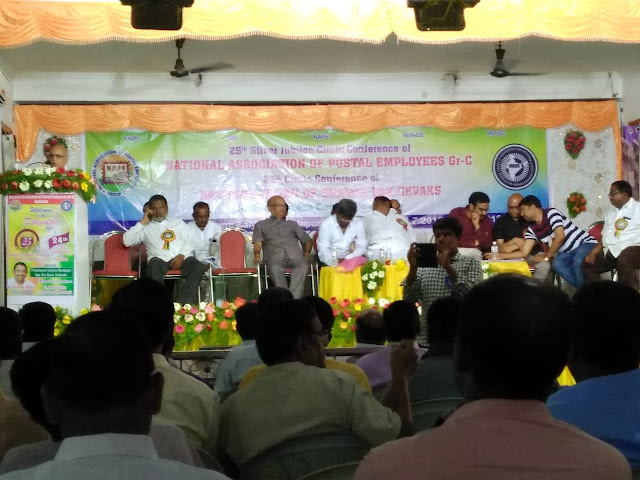 Silver Jublee Circle Conference of NAPE Gr-C & 24 th Circle Conference of NUGDS of AP Circle was held from 8.7.2018 to 10.7.2018 at Pinnamaneni Kalyanamandapam , Gudivada under the presidentship of Sri.R.Sudhakar Circle President. 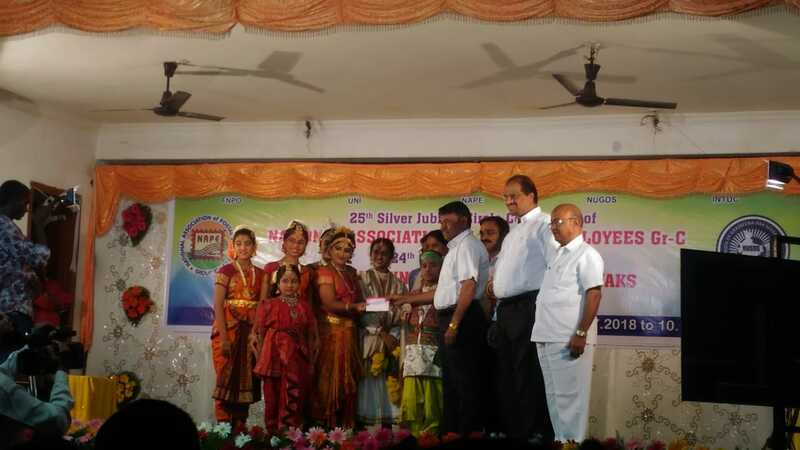 A marvalous classical dance performance by the students of Padmasri.Hemanth delighted the chief guests and delegates. 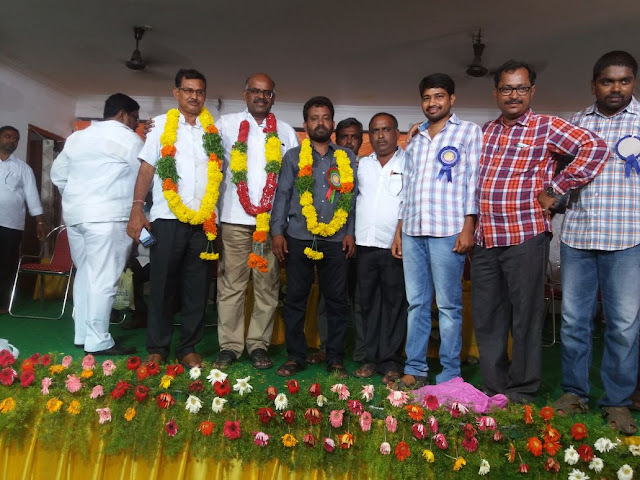 Sri.M.Eleesha Hon'ble PMG Vijayawad Region , Sri.E.V.Rao Hon'ble DPS Vijayawada Region, Sri.Yalavarthi Srinivasarao Chairman, Gudivada Municipal Corporation, Sri.D.Kishan Rao Former Secretary General FNPO & General Secretary NAPE Gr-C, Sri.Gulam Rabbani All India President NUPE PM& MTS,Sri.Vasireddy Sivaji General Secretary NAPE Gr-C ,Sri.Ch.Laxmu Narayana President CHQ NUGDS, Sri.D.Narasimha Rao SSPoS Gudivada Division, Sri.B.Gurudas Rtd.SSPoS &Legal Advisor of FNPO,Sri.K.Samuel CS NUR III ,Sri.K.V.Rao Ex.CS NAPE Gr-C ,AP, Sri.NSV GSR Sastry NUPE PM&MTS AP Circle ,Sri.Y.Narayana Rao Circle President NUPE PM& MTS,Sri.M.Murali Circle President NUGDS AP,Sri.I.Vasantha Rao CS NUGDS TS Circle were attended and addressed the gathering. 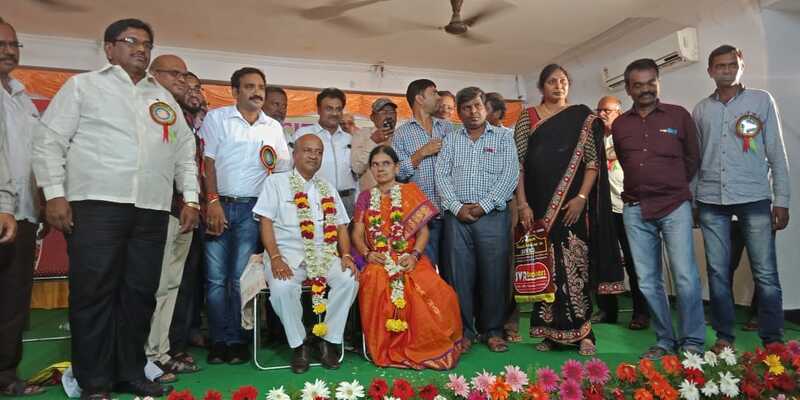 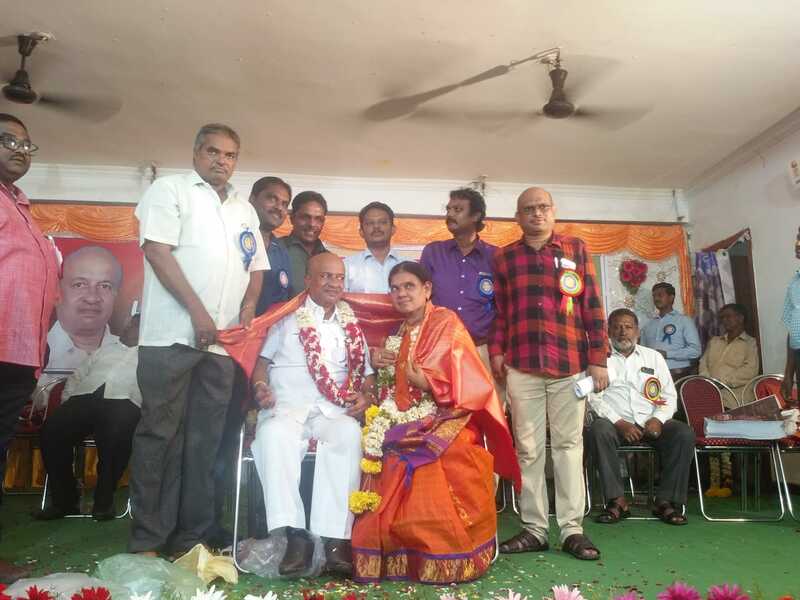 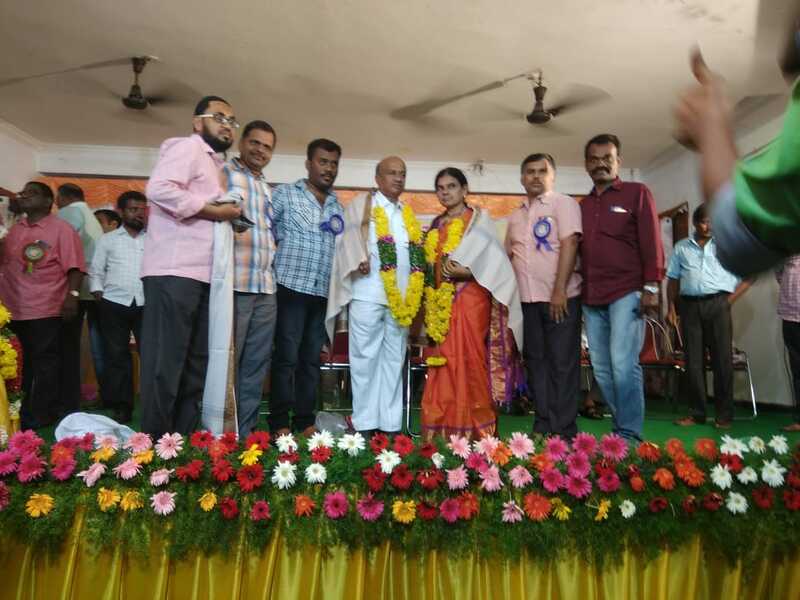 In the afternoon a grand felicitation arranged to our beloved legendary leader Sri.D.Kishan Rao by CWC members and all the Divisional Secretaries of National Unions. 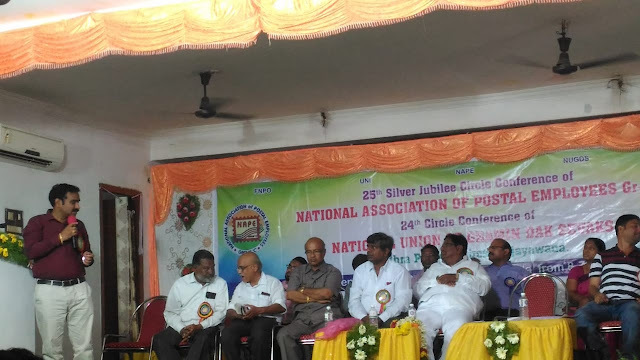 Subject committe was held on 9.7.2018.Many of the delegates participated in the debate and discussed the serious problems facing by problems like CSI,RICT,and proviaion of infra structure, 7th CPC related issues , MACP, RTP,cadre restructuring , GDS Pay Commission and its adverse effects, IPPB related issues. 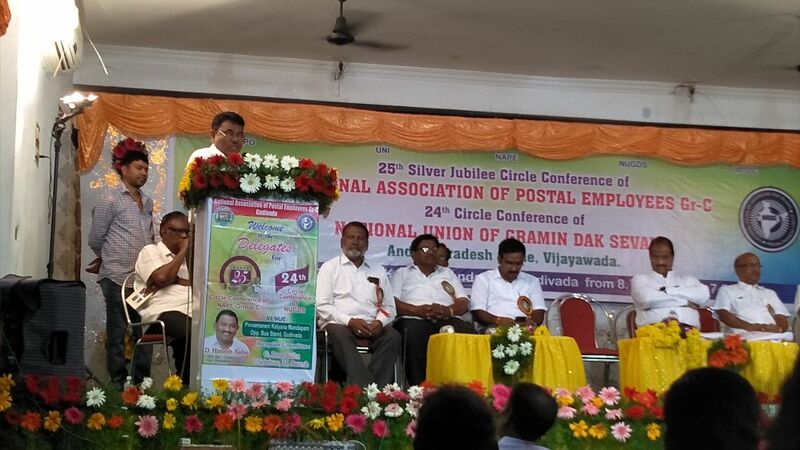 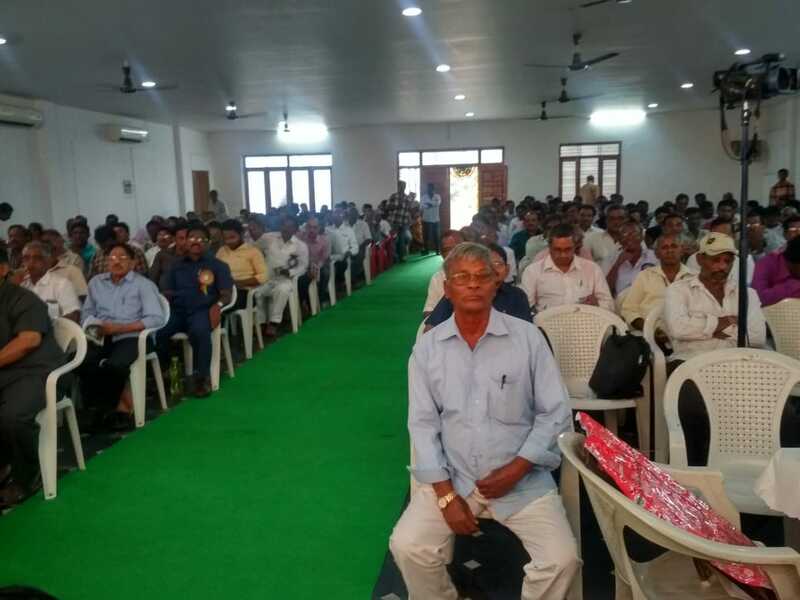 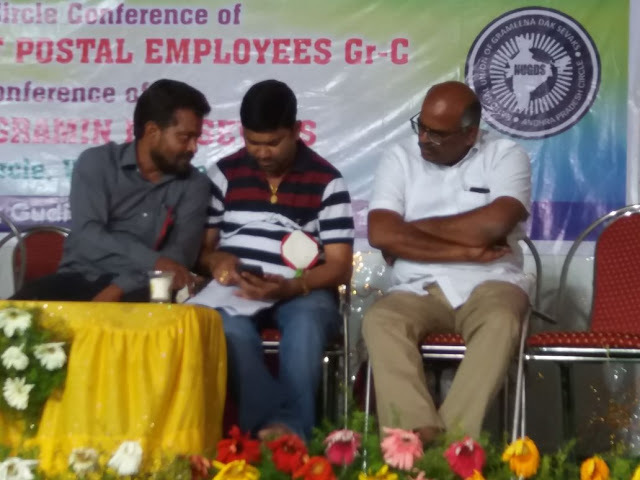 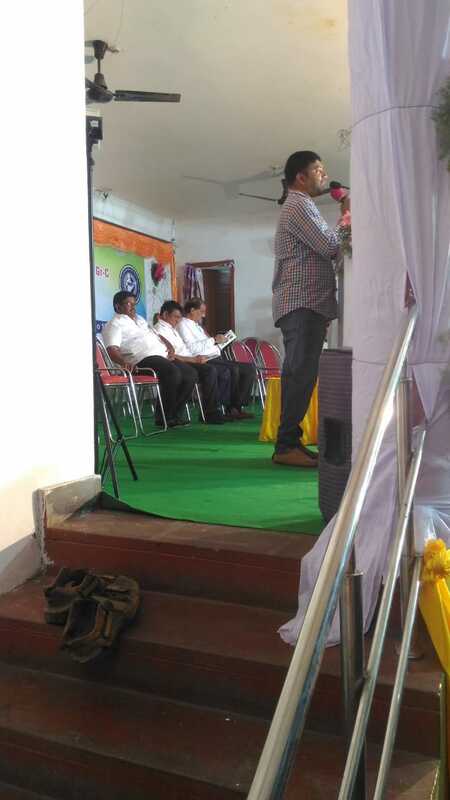 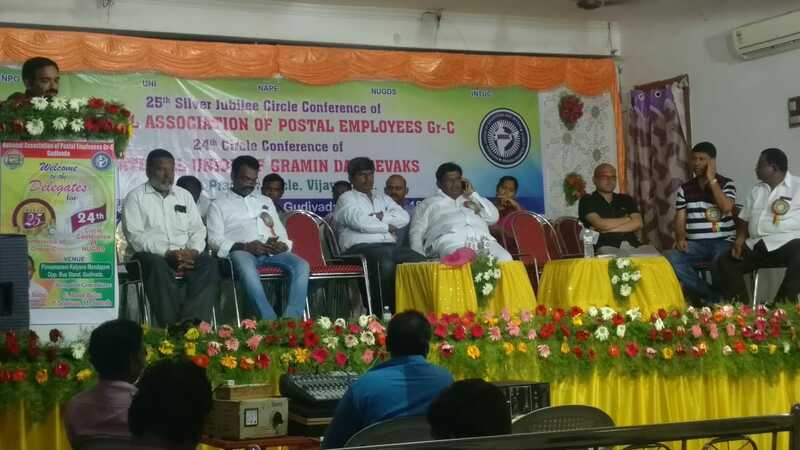 Sri.D.Kishan Rao deliberated a elobarated speech on departmental problems, GDS Pay Commission related issues and anti labour policies of Central Government. 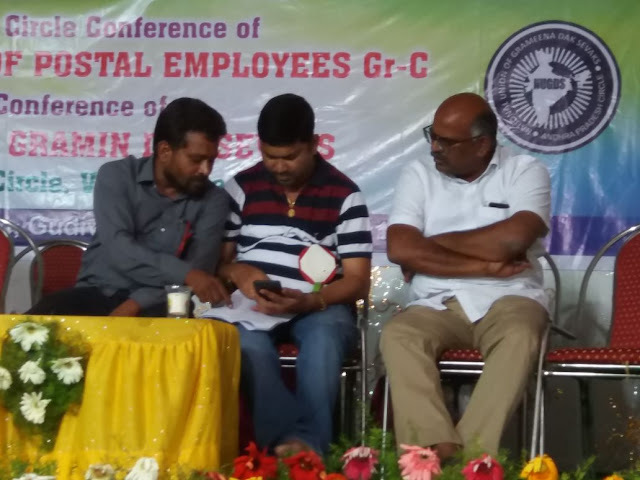 Conference unanimously taken a resolution to go on any kind of agitation or strike call which ever received from CHQ in r/o of GDS Pay Committee, 7th CPC, technology issues and other issues in furure. 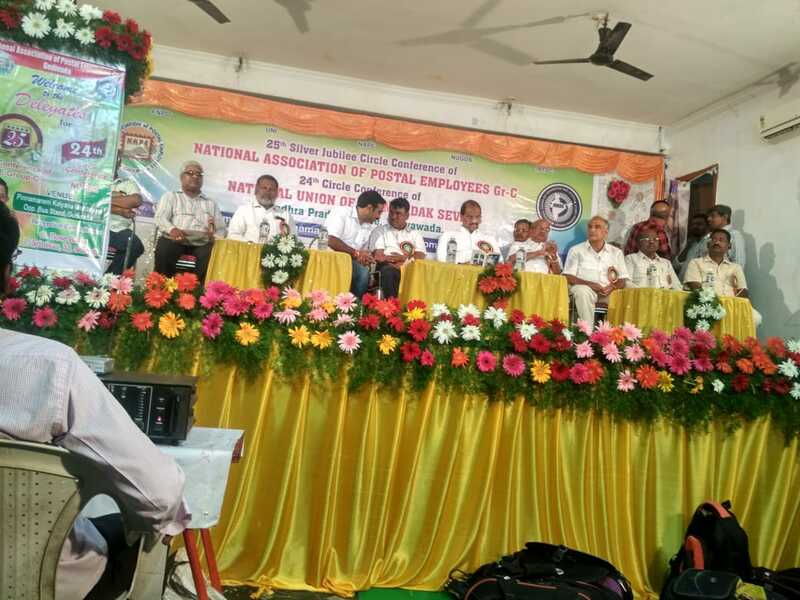 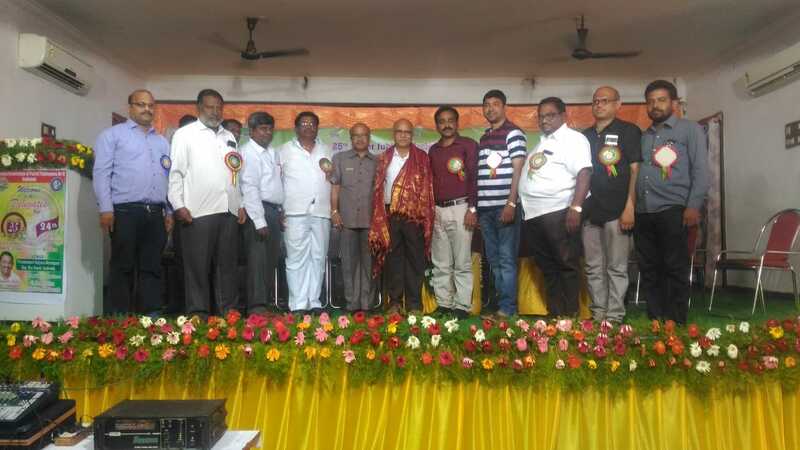 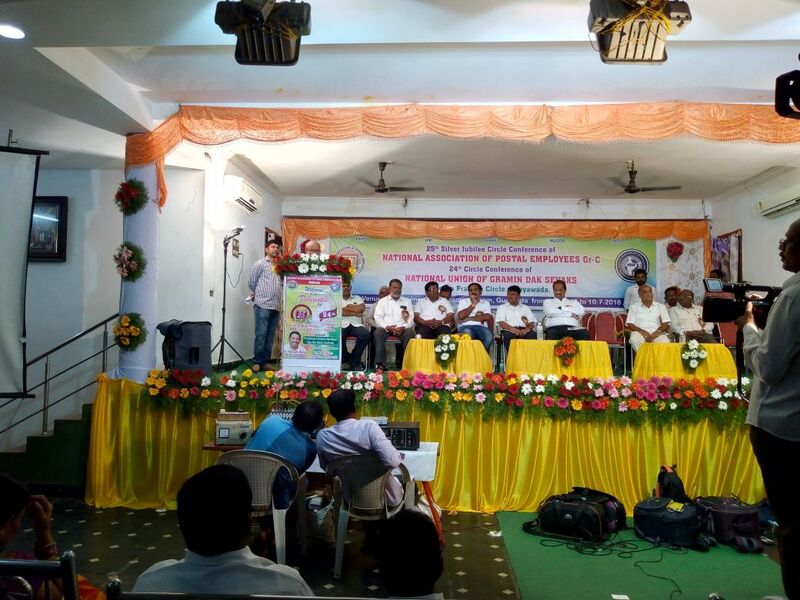 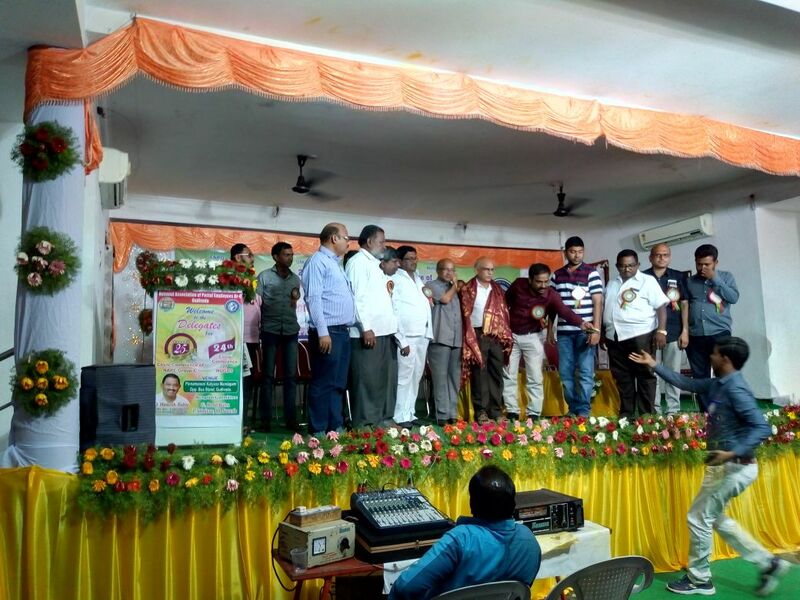 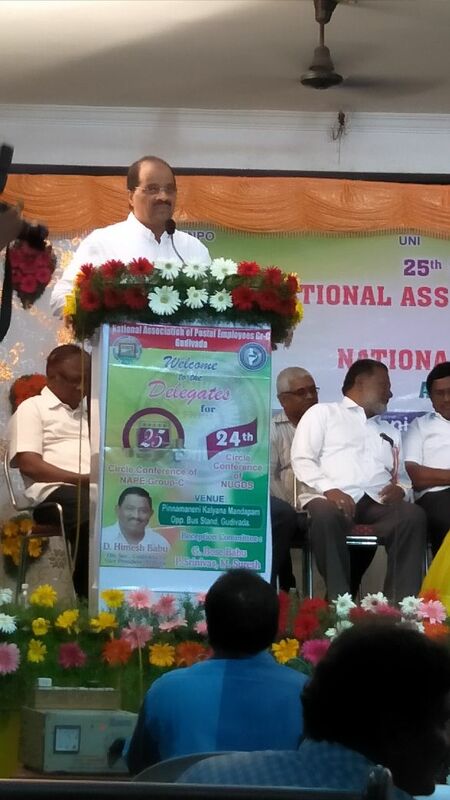 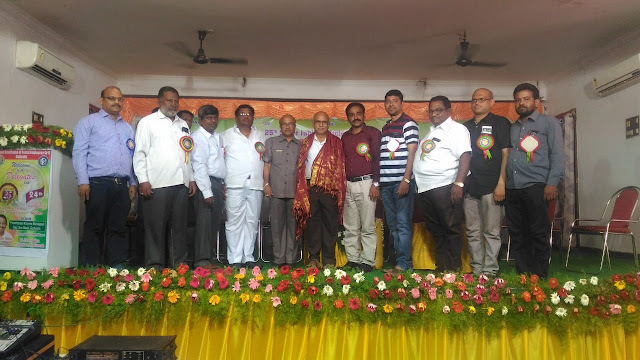 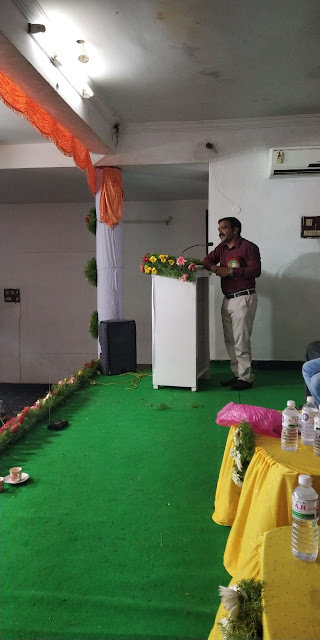 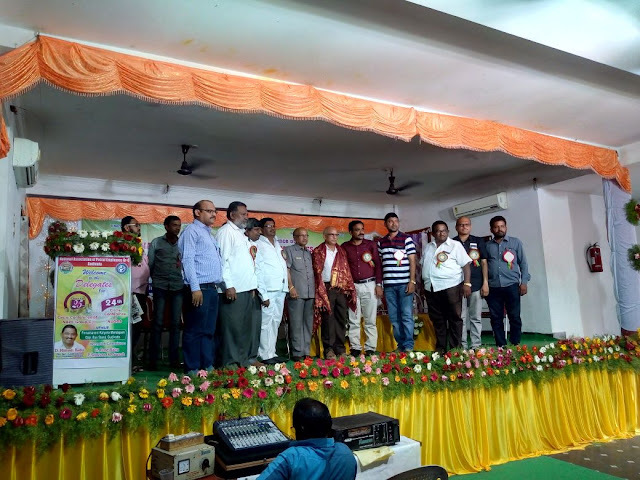 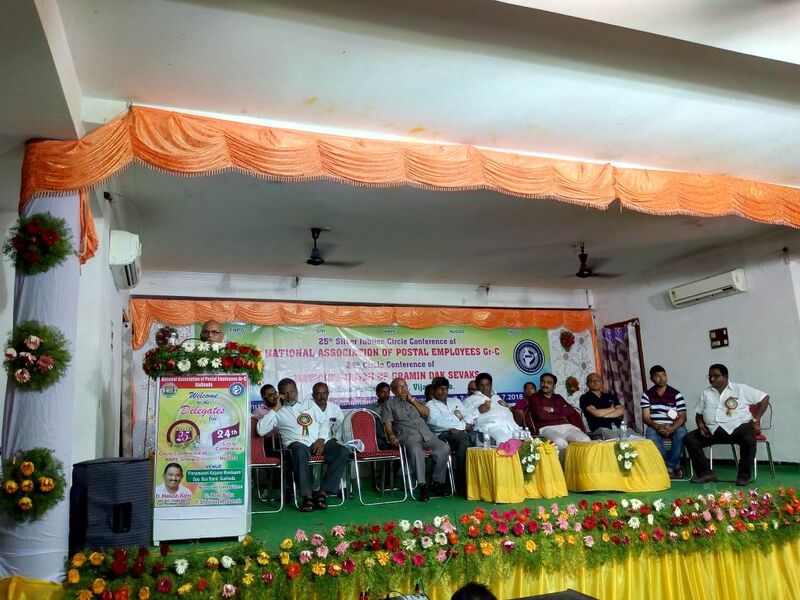 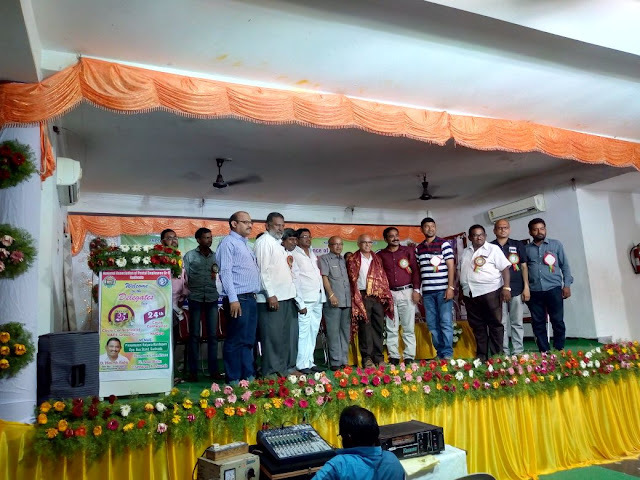 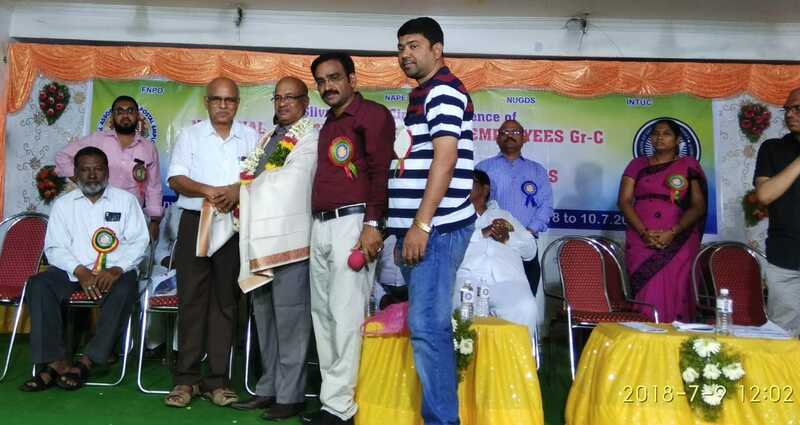 Sri.DASV Prasad CS NFPE who had long length association with our leader Sri.D.Kishan Rao was attended and shared his views and experience during felicitation. 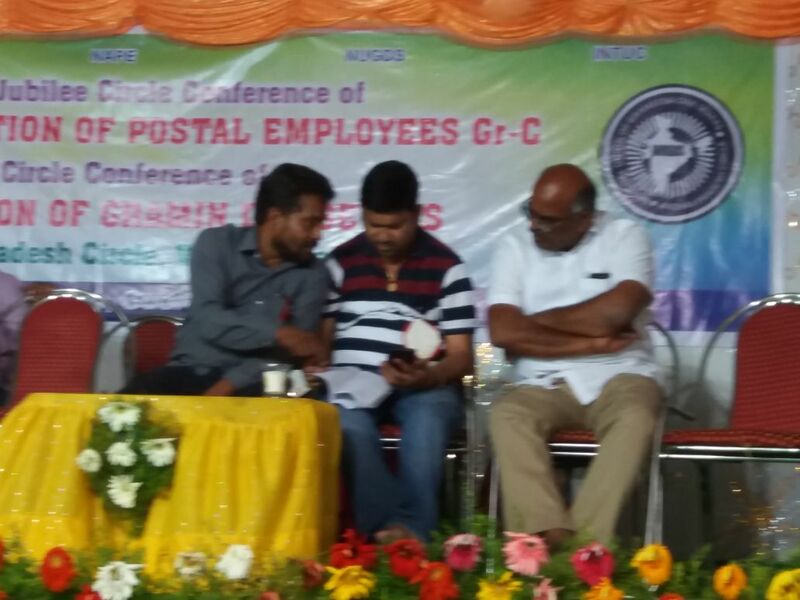 Sri.A.Narasimham DS NAPE Gr-C ,Kakinada Division has announced to hold next Circle Conference at Kakinada town. 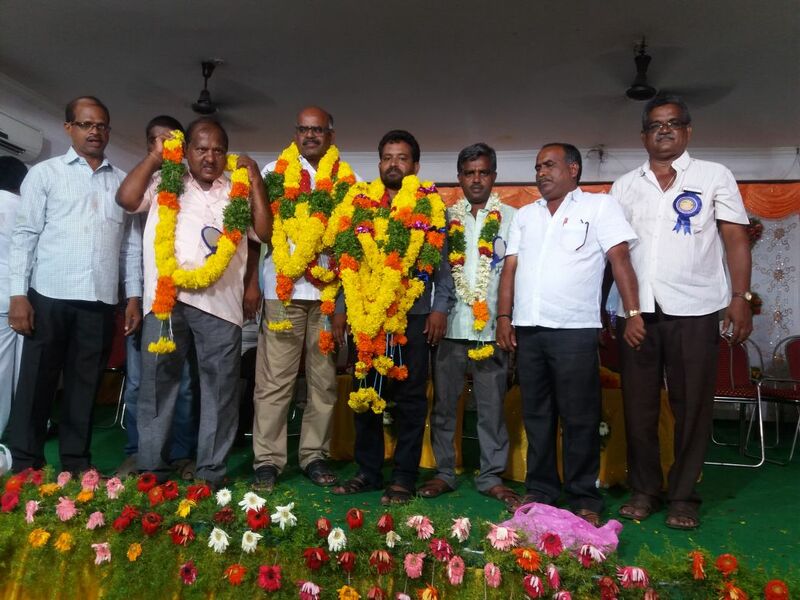 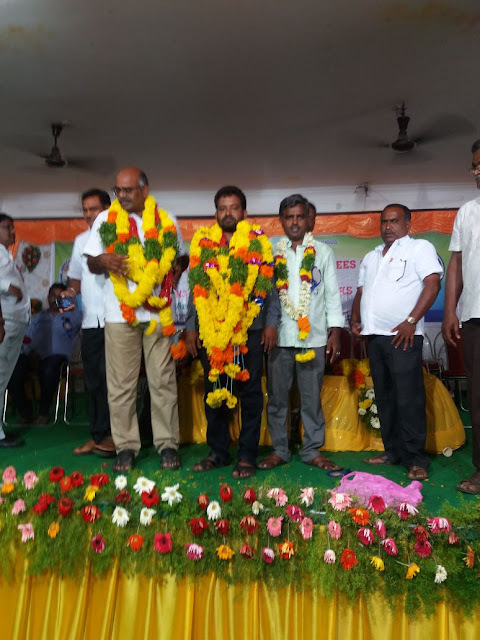 Finally the process of election of Circle office bearers was completed.Sri.R.Sudhakar, Sri.Vasirddy Sivaji and Sri.J.Ramakrishna Kumar were elected as Circle President, Circle Secretary and Circle Treasurer of NAPE Gr-C respectively. 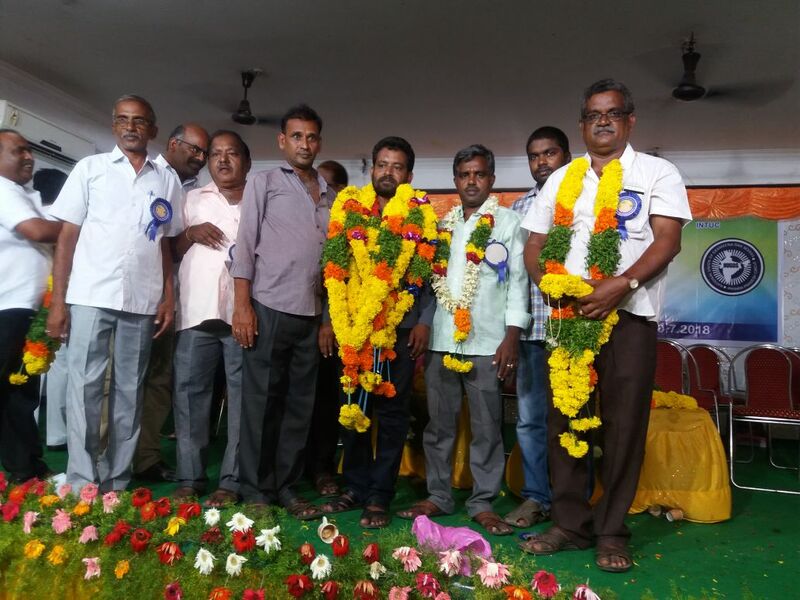 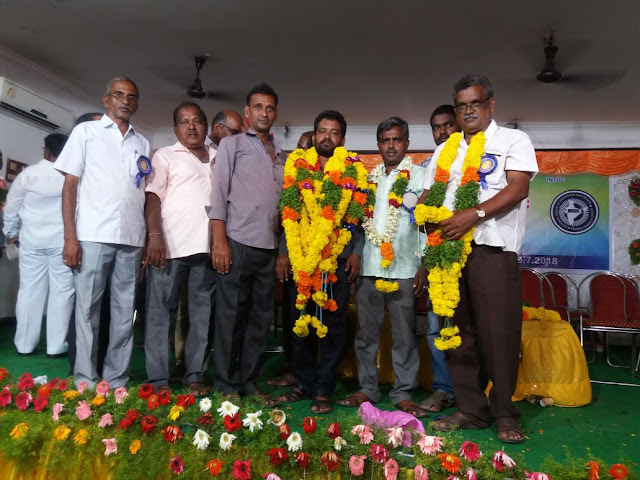 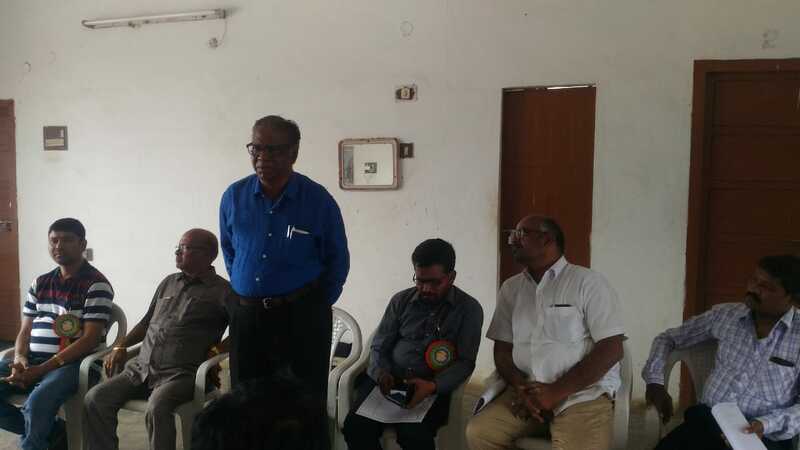 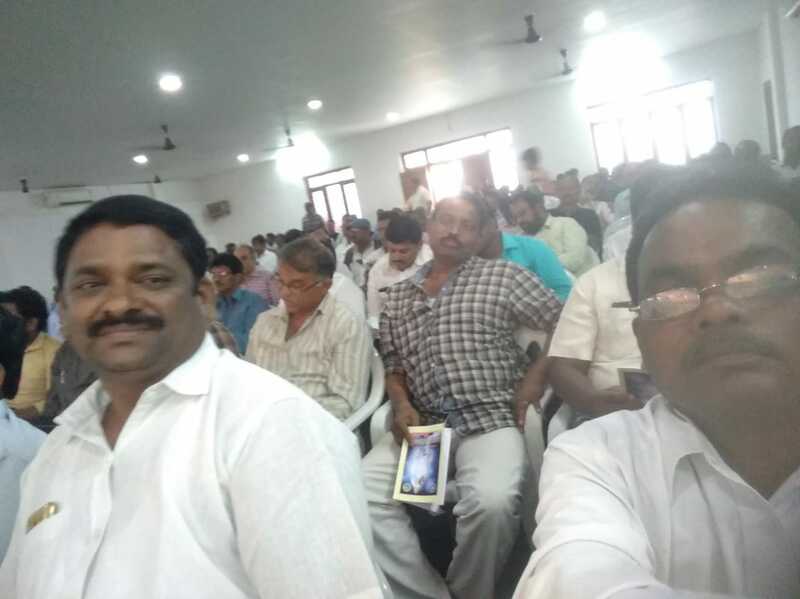 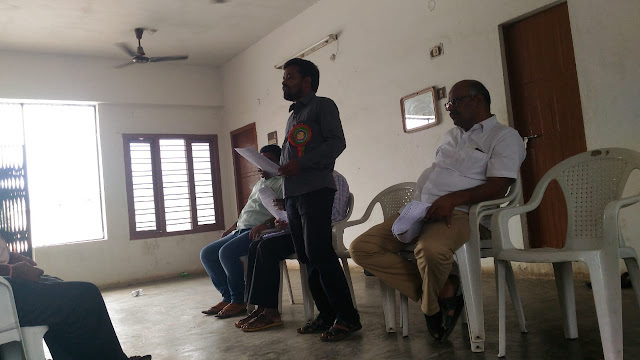 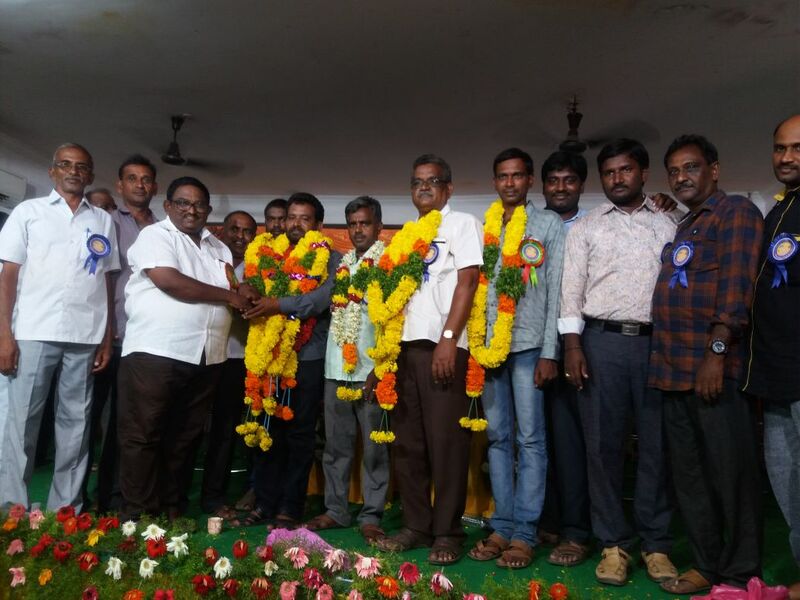 For NUGDS AP Circle Sri.M.Murali, Sri.Ch.Laxmi Narayana and Sri.A.Venkata Raju were elected as Circle President,Circle Secretary and Circle Treasurer respectively. 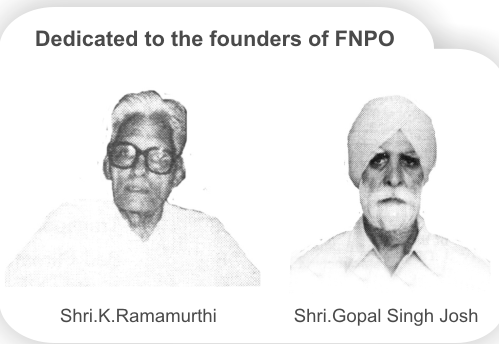 Sri.D.Himesh Babu , Sri.Bose Babu , Sri.P.Srinivasa Rao and Sri. 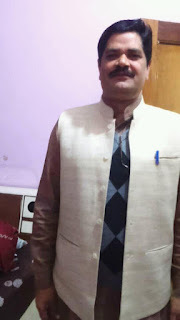 Suresh Receiption Committee members were arranged hygenic accommodation and delicious food to the delegates/visitors. 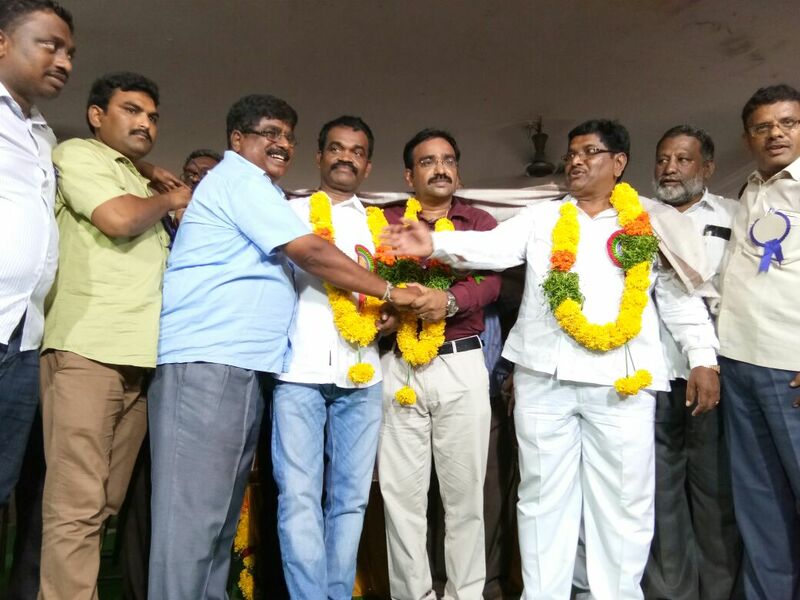 Both the Circle Unions coveys thanks reception committee.